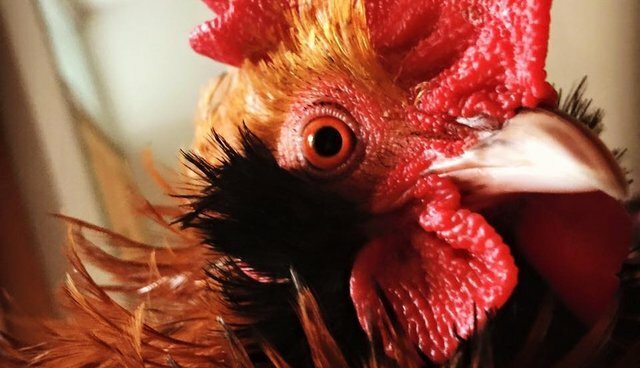 A beloved pet rooster named Elvis was found gruesomely killed in Yorkshire, England, earlier this month, and the search is on to find the intruder responsible for his death. Elvis's human, Andrew Hinkinson, told The Dodo about the "sick and scary" ordeal: Someone had released his birds from the cages they sleep in at night and allowed them to fight. Police believe the crime was videotaped by the culprit for entertainment. "The cruelty is so senseless, so useless, just killing for killing's sake," Hinkinson, who has received over 1,000 messages of support, wrote on Twitter, adding that he doesn't blame his larger birds for doing what they did. They had been kept separate from Elvis to prevent something like this from happening. Hinkinson wrote on his blog that Elvis had a particular bond with Hinkinson's elderly father Bernard. 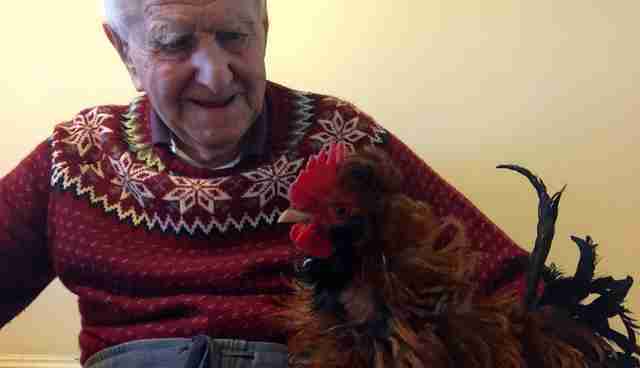 Hinkinson is devoted to spreading the word that chickens can be just as loveable as cats or dogs. Many of his pets are rescues from factory farms. The birds go with him on school visits and book signings to educate people about the sweetness of the birds. 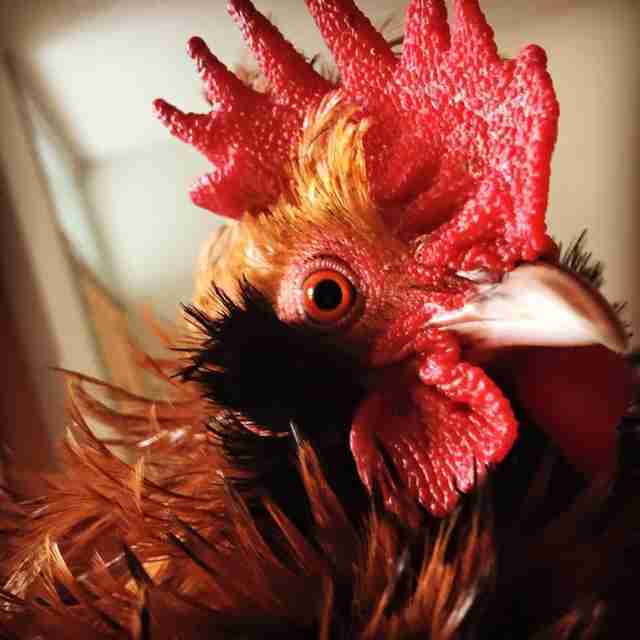 The chicken-loving community is working to find the person who let the roosters loose, asking for anyone who has information about the break-in to contact the North Yorkshire Police, who are treating the incident as a case of criminal trespass and animal cruelty. Community members and admirers of Elvis have raised over half their goal in funds so that Hinkinson can get secure fencing around his pets, as well as CCTV and a commemorative plaque in Elvis's memory. Previously, his goose had her face kicked and beak snapped when another intruder broke in - she survived, Hinkinson said, but she's permanently disfigured. The tragic death of beloved Elvis may, in the end, help protect other birds. Hinkinson said he and police will advocate for the construction of the fencing around council-owned land "for everyone's benefit" - the birds and the humans who love them.